Zacky Website Builder designs are in a league of their own. Sophisticated, yet flexible to match your brand. 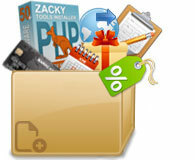 Zacky Website Builder has the ultimate website point and click editor. Just rollover and click to edit any element of the website. No coding knowledge required. Increase the visual interest of your website and decrease bounce rates with effects from our rich animation library. 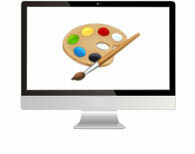 Use mouse-over images and timed transitions to make your site look professional. Create mobile-friendly sites for viewing on smaller screens. Automatically direct visitors to pages designed for their device. Deliver a consistent look-and-feel across multiple device types. A website should serve a purpose and be useful for its visitor but it shouldn't be boring. Great images are what distinguishes nice-looking web pages from the ones that are just OK. With our website builders adding images and organizing them to go well with the rest of your website content is a point-and-click process. Making your website look presentable can be confusing if you don't know where to start. Luckily, the site builders provided with our hosting are smartly built and absolutely user-friendly. No matter how inexperienced you are you can make a website, post content, photos and videos and have fun while doing so! What is a successful brand without it's fans? No matter if you're doing a website for yourself or your company, there's no doubt that social media sites are a great source of targeted visitors for any type of website. If you create a website with our builders it's quite simple to add links to all major social networks without any coding involved. Your best chances of being discovered online are through search engines like Google, Yahoo and Bing. The websites that our builders create are ready for proper on-page search engine optimization with tags, meta descriptions, keywords, fancy URLs and more! Whether you sell products or services from your website, it's easy to create promotional pages for your marketing campaigns. It's a point-and-click process that saves you time and lets you focus on the rest of your product promotion efforts. Lets say you already have some pages on your website describing what you do or what is your business. That's already pretty awesome because people can now find you easier and contact you. But what if you could accept orders directly from your website? With the right plugin you can get paid quickly and your clients are going to be satisfied. The more fluid and seamless the user experience of your website is, the more likely it is you're going to get more business. No one likes a badly designed website where you can't find what you're looking for. With our website builders that won't be a problem. With such a good visitor satisfaction you can expect lots of returning customers. Build what you design, no restrictions or limitations. Isn't it awesome that you can just click on every element of your site and change it right there from your browser? It doesn't get easier than that! The concrete5 website builder is the result of a perfect synergy between what developers, designers and regular people need when creating a website. concrete5 is Free and Open Source (FOSS) under the MIT software license. Once you login, every page on your site has editing toolbar. When you see something you want to change, simply click edit and make your changes. concrete5 outputs websites that look great no matter what device you're viewing them on - PC, smartphone or tablet. With concrete5, it's your design that defines the process. You can convert basic HTML into a concrete5 theme in a few minutes. Simply copy and paste a line of PHP code for any area you want editable, and you're done. The new version of Joomla has a modern and intuitive interface that makes creating content and managing your website a lot easier. Creating pages, publishing articles, videos and other media is easy and the results look professional even if you're not a technical person. Using the latest web technologies, Joomla outputs websites that look great no matter what device you're viewing them on - PC, smartphone or tablet. If you have an idea for a website or web application it's almost a hundred percent sure you can build it with Joomla. Whether it's a small business website, community portal, corporate intranet or something else you could probably use Joomla to do it. Why waste time to manually manage various files, content and other assets when the CMS can help you and save you time? Working on complex projects is going to be more demanding and the default Joomla configuration won't be enough. No worries, though. Joomla's powerful application framework makes it possible for developers to create virtually anything they need to. Remember, Joomla is MySQL and PHP based, so whatever it is you're building is going to be using an open platform as a foundation that's widely supported, shared and can be used by anyone. Novice users are going to appreciate the WYSIWYG (what you see is what you get) editor which is the perfect tool for presenting text and pictures in an appealing fashion. Once a piece of content like an article is created, it can be complimented in various ways by different modules that can show related articles, most recent posts, etc. If you're an advanced administrator you're going to love Joomla's features like archiving, choosing which content can be seen by which user, is it viewable publicly and many more. A picture is worth more than a thousand words. This is even more true for video. With Joomla it's easy to make you're content stand out with engaging multimedia. The media manager is a tool that helps you grab any type of media file and embed it in your new article, for example. You're even able to manually configure the MIME type settings to handle any type of file. You have the ultimate level of visual control. Make every section of your website have it's own specific design features. Of course you can just use the same theme for the whole website but it's very useful to be able to change your template on a page-per-page basis. What Can I Use Joomla For? Individuals and businesses have been using Joomla to create e-commerce websites for a long time with great success. It's an excellent way to start selling products without complicated installations. The basic Joomla distribution can be turned into a powerful e-commerce solution with the help of some extensions. It's all done in the administration area via the Extension Manager which lets you find your prefered e-commerce plugin and install with a few clicks. Why should you waste time trying to find a way to easily create a website, good hosting that isn't too expensive, a domain registrar, etc. You can do all that in one place, saving time and money in the process. Creating a good name for your brand online isn't possible without a well done website for your business. Joomla is the perfect CMS for a business website. It can accommodate for all your business needs with it's extensions. Accept payments, create member areas and more for free! Why use our WordPress installation and not just install it yourself, you might wonder. It's simply not worth your time. You'll have to find a web host that supports WordPress, you'll have to download the CMS files and you'll have to read through a bunch of documentation just so you can get a website up and running. We think Wordpress is one of the best platforms one could use so we made it accessible for everybody no matter what technical experience they have. There was a need for a well-structured publishing platform that is elegant but doesn't compromise on features for personal use. WordPress was born as the successor of the b2/cafelog project and was built on PHP and MySQL. Since 2001 it has matured a lot and currently is powering some of the largest and most famous websites on the Internet. The short answer to this is it depends on your imagination and tech skills. WordPress was just a blogging tool but it has evolved into a full-blown CMS which can do anything, really. Whether you want a simple personal website or plan on building an authority site in your industry, WordPress can do the job perfectly. WordPress was and still is the best personal publishing platform. Why? Because of how straight-forward it is to manage your content. You just wrote a great post but want to publish it later. No problem - use the publication scheduler. Create drafts, decide which posts are public and which private or even password lock them. No matter what kind of website you're building it's important to be able to insert relevant images easily and quickly. With WordPress you can do that right from the post/page editor with drag-and-drop, edit image titles, alt text and captions and more. There are even some image editing options which can always come in handy. WordPress comes with some pretty slick themes preinstalled but there are literary thousands more free themes to choose from and even more premium ones. 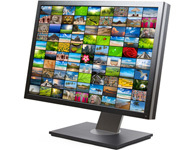 You can even create your own and upload it with a single click. You're able to completely change the look and feel of your site in a few seconds. Inregistrare domenii .ro - Pentru a inregistra domenii cu extensia .ro va rugam de asemeni sa folositi adresa Host Market - Gazduire Web!